“Beach” better have her money. 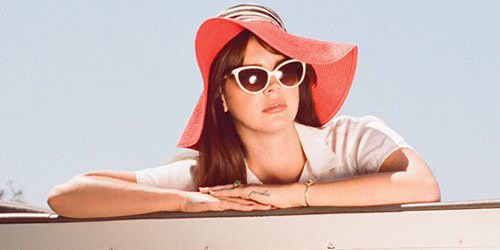 From “High By The Beach” to high on the charts, Del Rey’s third major-label studio set should have a similar debut to her previous two studio albums, which both entered in the top two. Notably, the effort features her cover of the song “Don’t Let Me Be Misunderstood”, originally recorded by Nina Simone in 1964. It was then a hit on several occasions in the years to come. 23-year-old Pittsburgh rapper Miller has had some great success and a responsive fanbase since his debut in 2011, including a #1 on the Billboard 200 with his Blue Slide Park album that year. This is his first major-label set, while bringing his total studio albums to three overall. Single “100 Grandkids” barely cracked the Hot 100 at #100. They’ve had a lock on a spot in the top two on Active Rock radio with “Cut The Cord” for about two months now. A Threat to the top spot on the Billboard 200, you ask? Probably not, but a solid top five debut is not a bad guess. It remains to be seen if any songs will crossover from their latest album. Next Friday, our preview will include new albums from CHVRCHES, Disclosure, Fetty Wap and more. See you then!